Overstock: How Much Is Too Much And How Do You Turn It Into Cash? Sign up to start a 14 days free trial. No credit card required. Cash is king. Clear out overstock before it kills your cash flow and your business. Look at what’s not working to build profitability and cut items that aren’t. Overstock identifies where your store has more inventory than is needed to meet demand. Excess stock is a factor of the forecast and the days of stock you've set. That is, once you’ve determined an ideal level of stock to last 30 days, then overstock is what you’ll have on hand after that time. What items are overstocked and how much is too much? Days of stock is the amount of time you want your stock to last. Using your forecast (sales velocity + trend) look at how long your stock will last. What is the optimal level? Thirty days is a good place to start. If you'd like your stock to turnover every 30 days, then use the forecast to show you what you’ll have on hand after your 30 days of stock (optimal stock level). Make sure to distinguish seasonal items from products that sell well year-round. Consider adding to your holiday marketing/promotion strategy points to monitor sales velocity and if discounts are appropriate. You can also add to your plan a large promotion immediately following a holiday or peak season to connect with bargain hunters looking to help you liquidate inventory. When looking how many units seasonal products to liquidate, look at when peak season is and how far away that is. If you’re taking on overstock for the first time or the first time in awhile, be careful not to liquidate too close to when you’ll need those products again. If you are only four to six weeks away from the beginning of holiday sales, consider holding onto that overstock to promote during its peak time. How much overstock should you liquidate? What is the urgency of clearing out overstock? How badly do you need to liquidate what you have on the shelves and convert it into money that you can use to invest in something else (inventory, marketing, salaries, rent, etc.)? Think about the opportunity cost of what you could get for the overstock you have on hand. Don’t let sunk costs sway your thinking. Your previous investment in these products does not mean you need to hold on to them when they are not performing well. Consider your brand with how deeply you'll discount. Is your brand about quality? If so, deep discounts work against that. If you regularly offer discounts, then clearing out this overstock quickly with a discounted price may be less of an issue and consistent with your brand. Look at the big picture to see how much this product is contributing to your overall profitability. If a product contributes to a very small percentage of your overall revenue, why continue to carry that product? If you have a long-tail strategy to building a profitable store, then it could be worth it to keep in stock. However, this is not the case for most (successful) eCommerce stores. Selling FBA - monitor stock age to avoid paying more in storage fees. Long term storage fees by Amazon can add up quickly and can eat into your profits rapidly. Perishable products - track expiration dates and set up a markdown system when products are 6 months from expiration, 3 months from expiration and so on. Industry trends - Do trends change quickly in your industry? Are your products staples or items that are ‘in’ now but will soon be on the way ‘out’? Fast fashion, electronics, and nutritional products may be subject to quickly changing trends. Keep an eye on time since launching your product line to deplete stock in a timely manner. Now that you know how overstocked you are and the urgency of clearing out inventory (hello, cash flow! 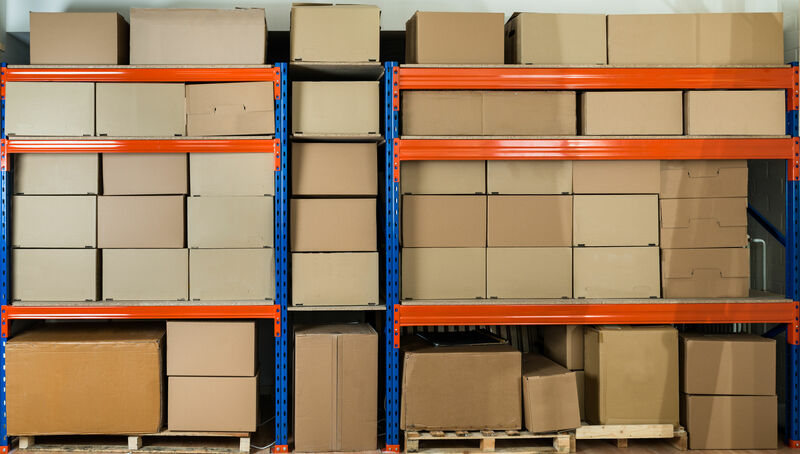 ), there are several strategies to consider to make room in your warehouse and your bank account. Some will take more time but the tradeoff can be that you recover more of your original investment in purchasing your stock. 1. Bundle - Try bundling underperforming items with hot sellers to increase your average cart size. 2. Bulk selling - Offer 5, 10, or even 15% off when customers buy more than one of your overstocked product. If successful, this will increase cart size and move out several overstocked items at a time. 3. Promotional items - Use overstocked items as promotional gifts when your customers purchase other products. Using products as an incentive to buy rather than offering discounts on the original product is good for brands that emphasize quality over quantity. 4. Return to the vendor for a refund or credit. This option is admittedly a long-shot, but it’s worth asking if this is an option. What sells in a brick and mortar store doesn’t always sell online and vice versa. Look for merchants in your industry with a different distribution model. Different geographic regions may see different selling trends. Look for a vendor that serves a different region of your country or even a different country. Different website niches may see an opportunity with your product to market to a different customer base. 6. Sell at a discount. This may be among the quickest strategies here. The amount that you discount is dictated by how urgently you need to move product and your brand value (quality vs quantity). 7. Donate overstocked product - Consult with your CPA to see what tax advantages may come from this approach. Beyond doing good for your community and for those in need, consider the timing of the donation, the amount of donated product, and the profitability of your store. An ABC class analysis looks at each variant or product’s contribution to your revenue over a given time frame. Seller Fulfilled Prime, strategies for scaling, metrics for growth and more in our recap of Amazon seller-focused conference Prosper Show 2019. As part of Amazon’s shipment creation process, you can save time and money by creating and printing labels directly from Inventory Planner. Check out how it looks using the demo account.